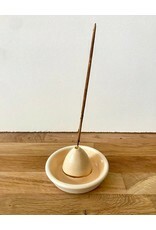 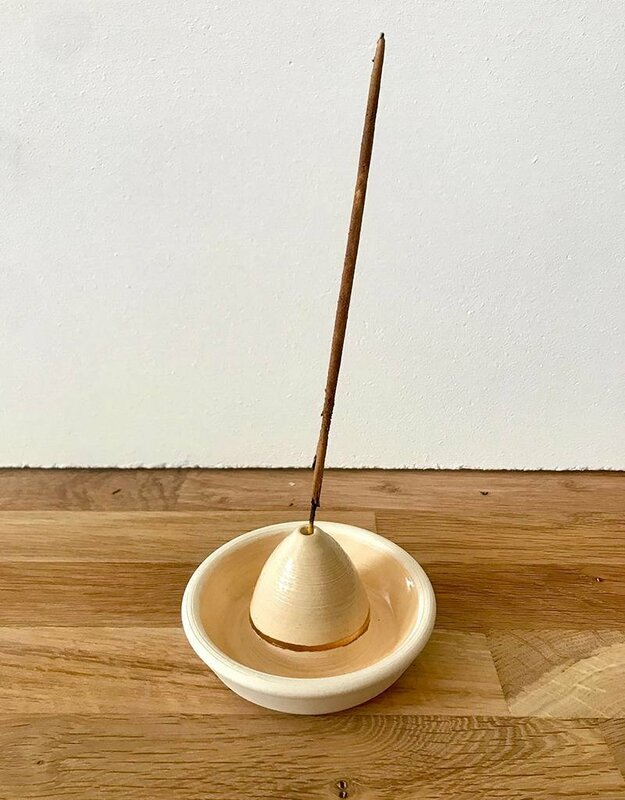 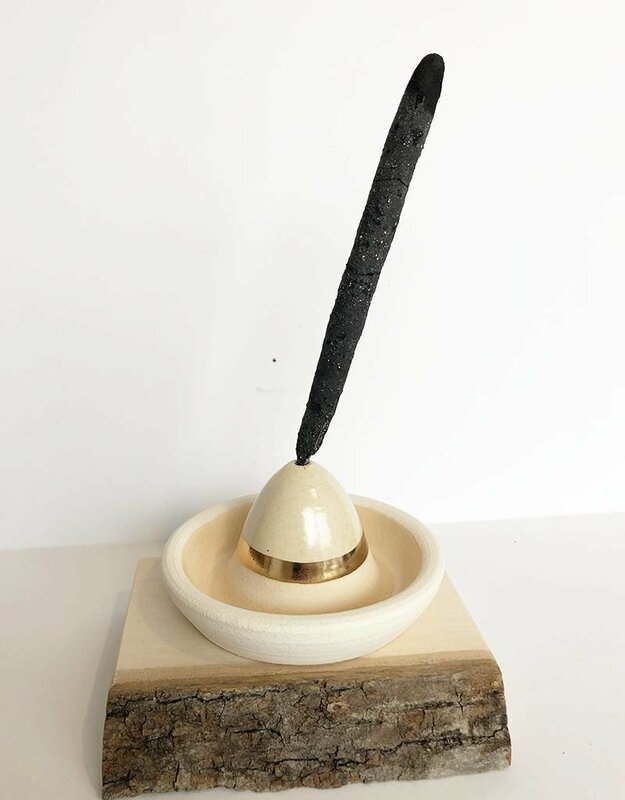 Incense holder with attached tray catches ash from burning. 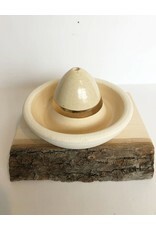 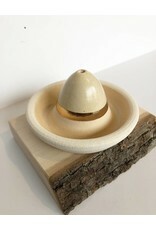 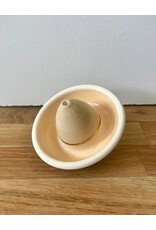 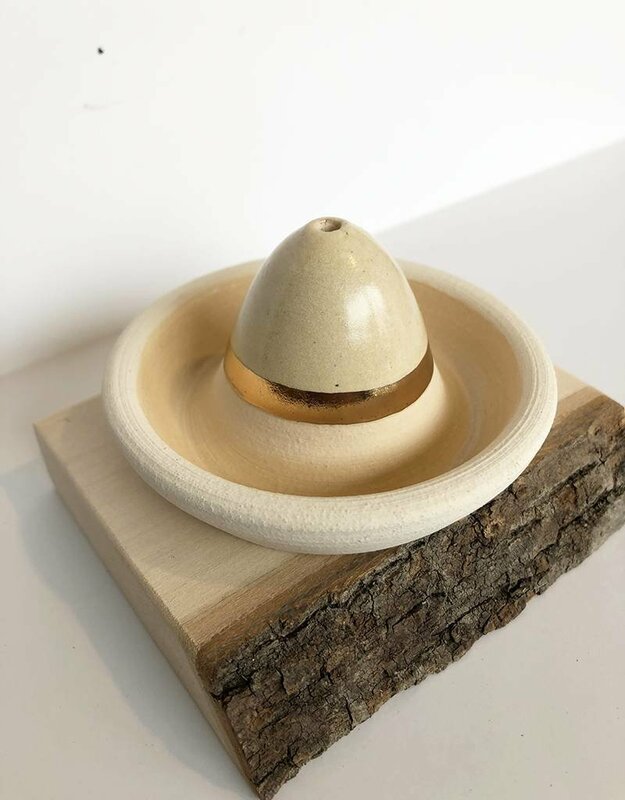 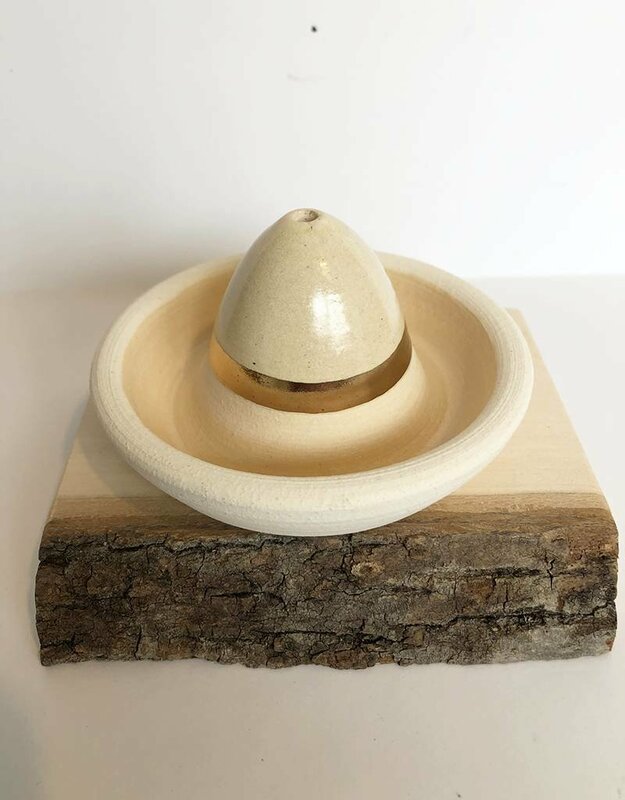 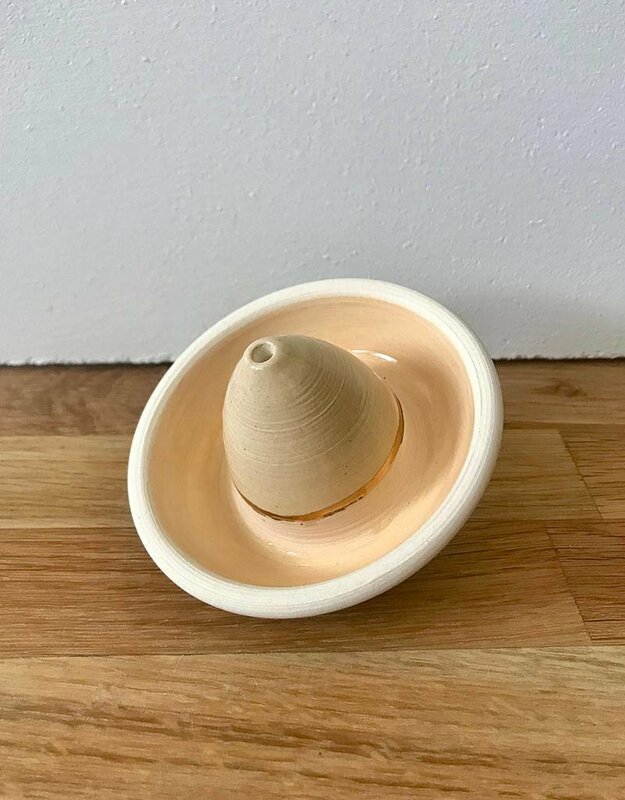 Hand thrown on the pottery wheel from a high quality, white stoneware clay body and fired to cone 5. 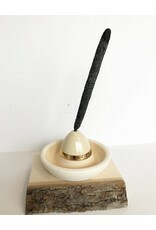 Details are hand painted in peach and gold luster.